In Indian Weddings, mehendi plays a significant role as many families organise a wedding party or a dedicated mehendi ceremony. M.K Mehendi in Delhi, understand the importance of this event and deliver great designs from their customized catalog. If the bride has any specific requirements, you can definitely discuss it with them, as they will surely impress you with their amazing work. Affordable and quick with the art, the artist excels in numerous mehendi styles including Arabic, Indian, zardozi, traditional and many more. Sadar Bazar, Jacobpura, Roshan Pura, Gurgaon, Haryana- 122001, India. 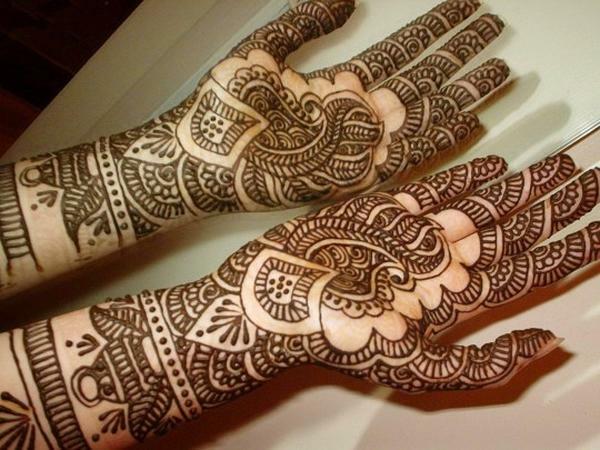 MK Mehndi is a bridal mehndi artist based out of Delhi . MK Mehndi's telephone number is 76-66-77-88-99, MK Mehndi website address is http://www.mkmehandiartdelhincr.page4.me/index.html, address is Sadar Bazar, Jacobpura, Roshan Pura, Gurgaon, Haryana- 122001, India..
MK Mehndi is mainly known for Bridal Mehndi, Wedding Mehndi, Indian Mehndi, Arabic Mehndi. In terms of pricing MK Mehndi offers various packages starting at Rs 5100/-. There are 0 albums here at Weddingz -- suggest you have a look. Call weddingz.in to book MK Mehndi at guaranteed prices and with peace of mind.